With the Senate deferring any vote until May and the Australia Industry Group jumping ship,Rudd's ETS is looking like a lost cause. As public belief in AGW wanes it is unlikely that it will be re-presented this Parliament. Meanwhile Rudd has hit the airwaves in a radio blitz to try to revive his falling popularity figures. As the Opposition is painting him as all talk and no action , more talking may not help. From AFP China's top climate change negotiator says the world's biggest carbon polluter has no intention of capping greenhouse gas emissions for the time being. The Chinese are much smarter than the Western negotiators and have no intention of damaging their economy for Global Warming ideology. 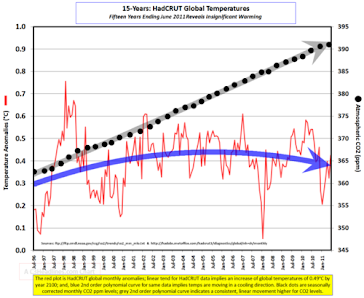 The Global Warmers are certainly nimble in changing course rapidly as their "facts" are disproved eg Global Warming becomes Climate Change, more hurricanes becomes less but stronger hurricanes , and giant snowstorms become evidence of Global Warming . With the IPCC she cited for the Endangerment ruling under assault, EPA head Lisa Jackson has now said the ruling was based on the American scientific community.Pajama Media reports on the latest quickstep from Jackson and fellow-traveller Barbara Boxer. The costs ot the insulation fiasco rose today with 43 Million set aside for workers affected by the shut-down of the scheme. Rudd is now strutting around as the saviour of those his government's incompetence put out of work. "The Government will not walk away from its responsibilities to the workers of Australia," he said. "Many of these people are good, honest workers whose jobs have been disrupted because of a small number of shonky operators." The two shonky operators coming immediately to mind are Rudd and Garrett. From Quadrant Online we have an interesting calculation by Dr Tom Quirk showing that if we were to burn all our known fossil carbon fuel reserves in one year we could increase CO2 concentration in the atmosphere by only 40%. The Warmists claim we are heading toward doubling CO2 and apocalypse but there there just plain ain't enough fossil carbon to do that. Given that we will use our reserves over many decades and with man-made Co2 only a tiny part of Nature'sCO2 cycle it is hard to see what is the problem. Andrew Bolt has been a vocal critic of Rudd's Government since the election and he sheets blame for the whole insulation disaster to Kevin Rudd's rush-rush style of governing. His review of the Rudd's Government handling of the fiasco is scathing . The Guardian reports on an Ipsos Mori Poll on people's views on climate change reports that only 20% of respondents between 16 to 64 years old believe in man-made global warming. This is down from 33% a year ago . The Alarmists Snow Job - Less Snow becomes More Snow in Orwellian Turnaround. Anthony Watts at WUWT details the turnaround of climate "science" from Co2 warming causes "less snow" to CO2 warming causes " more snow". 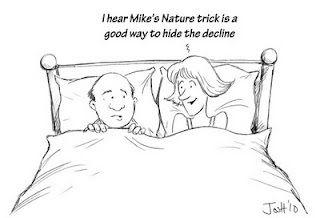 The "less snow" theory was supported by the heavy hitters on the AGW Hoax team such as CRU ,and Barnett of the Scripps Institute who said: The chance that the model is incorrect, he said, is somewhere between 1 in 100 and 1 in 1,000. Whoops! Rarely has a government promised so much, spent so much, said so much, and launched so many nationwide programs, and delivered so little value for money and expectation. Two years of Kevin Rudd has produced 20 years of debt, and most of it cannot be blamed on the global financial crisis. Kevin Rudd or Krudd as he is non-affectionately known , is increasingly being seen as a waffler and non-achiever, an image that will cost him dearly at the polls. Huffington Post articles routinely exude a smug superiority but this one has me reaching for the sick bag! The general thrust of the article is that most Republicans and all Tea-Party types are pretty thick because they don't agree with the progressive liberals who infest the Post. Huffington Post Says Deniers Should Support Green Energy - Why??? Huffington Post's Heather Taylor-Meisle thinks that deniers should support " Green" energy because it will create "millions of green jobs" . The small problem is that solar and wind energy is hugely expensive and is fundamentally useless because it does not produce one kilowatt of " dispatchable energy' for a power grid. Peabody Energy Company has a 240 page submission to counter the EPA's CO2 Endangerment ruling which is going to make for a fascinating legal case. However given the fact that I have always argued that lack of any Accredited Quality Standards was the Achilles heel of the Warmist Science arguments it is gratifying to see that Peabody is taking that approach. Peter Garrett , the Environment Minister, was given legal advice on the possible problems of the Australia-wide rollout of insulation last April . The advice was released yesterday, as the embattled Environment Minister finally axed the program -- which has been linked to four deaths and 87 house fires -- declaring that the safety risks had become unmanageable. Penguins in Antarctica to be replaced by jellyfish due to global warming??? Adding to the huge list of AGW caused disasters, in the Telegraph we read : The results of the largest ever survey of Antarctic marine life reveal melting sea ice is decimating krill populations, which form an integral part of penguins' diets. The six-inch-long invertebrates, also eaten by other higher Southern Ocean predators such as whales and seals, are being replaced by smaller crustaceans known as copepods. 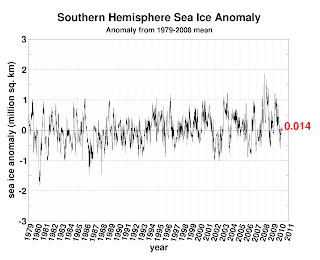 These scientists are not the sharpest tools in the shed as a quick check shows Antarctic sea ice has been increasing for decades . clique of only a few dozen people." Even a year ago articles like this would not be printed in a major newspaper. The times are changing rapidly. I guess no one has attempted to measure the left-wing bias of Tony Jones mathematically before but Gavin Jones has done just that and the results are so bad that he should be removed from his position immediately. He recently interviewed separately both Joe Hockey and Wayne Swan . And we thought what Phil Jones had done was bad !!! NASA's Climate Kids website is propaganda of the worst kind because it is not aimed at reasoning adults but at trusting children . 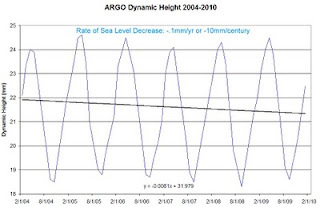 The discredited polar bear picture would never again be used in an adult article but is OK to fool our kids.Sea level is supposed to have risen 57 mm in 17 years and could rise 20 feet.. No mention that it has been risin at 2mm /year since the ice age and seems to have stopped now and that satellite measurements actually show no trend. There is lots more garbage at a kiddie level .The Blogosphere should hold this site up to the ridicule it deserves and get it taken down.Please help. An excellent article by Peter Ferrera of the American Spectator with an overview of Global Warming Science at the moment from a skeptical viewpoint. Establishment figures intone about the substantial "body of science" supporting the notion of man-caused global warming. But based on recent events, they need to check the body's pulse. The body is dead, and rapidly wasting away before our very eyes. An article in the Independent is about 2000 missing Light Bellied Brent Geese (out of a flock of 6000), which were apparently lost due to the fact that their normal feeding grounds in Denmark were frozen over. Mother Nature links to the Independent but adds their own bit of research linking to a scary " global warming causes freezing" article from their Global Warming for the Intellectually Challenged Series. In most years, around half of the birds head to the UK and spend the winter at Lindisfarne, with the rest wintering in Denmark and together the two sites hold over 99% of the world population of the geese. But during the big freeze the Danish wetlands froze over and the geese which arrived there were forced to abandon Denmark to find new feeding grounds. Most of the rare geese winter in Denmark but extreme winter weather (which could be the result of climate change) has caused the Danish wetlands to freeze over this year. This forced the geese to find new feeding grounds. Another tragedy caused by Global Warming Freezing! The Virginia Attorney General with the support of the Governor Cuccinelli has filed a petition asking the EPA to reconsider the Endangerment finding and also with the Federal Appeals Court seeking a review. The moves signal a major shift in Virginia's approach to climate change.A commission appointed by previous Gov. Timothy M. Kaine, a Democrat, found that global warming could spread disease in Virginia, threaten coastal areas and imperil native animals such as crabs. The latest Rassmussen Poll says" reflecting a trend that has been going on for more than a year, just 35% of U.S. voters now believe global warming is caused primarily by human activity. This is down 7% in only 6 months reflecting a fast changing political landscape in the US. In the same poll long term planetary activity is believed to be the cause by 47% of US respondents. Obama , like Kevin Rudd in Australia will find it difficult to uncouple himself from the Global Warming Albatross as support wanes. The chances of Obama getting Climate Change legislation through, range from slim to non-existent with major defections from the Climate Action Partnership which promotes such legislation. From Bloomberg ConocoPhillips, BP Plc and Caterpillar Inc. won’t renew their memberships in the U.S. Climate Action Partnership, a coalition of companies and environmental groups seeking legislation to reduce greenhouse- gas emissions. I'd be very surprised if this doesn't represent the start of as exodus as most companies are driven by the bottom line not by ideology as shown with Shell's recent withdrawal from the wind power scene. Too bloody right the penalties are harsh and so they should be . Anyone of any creed who plots to commit terrorism acts in this country should know what is going to happen to them. As to the ridiculous claim that the penalties will "radicalise" more young Islamic men , would anyone think that a 10 or 15 year sentence would make a difference whether one becomes a nutter blowing up women and children. At what level of sentence could we expect these young men not to be radicalised - maybe a good behavior bond and a couple of days Community Service. I think not. As Obama tries through the activist EPA's CO2 Endangerment finding to achieve what he can't do legislatively the State of Texas is filing a lawsuit to reconsider the decision. The Texas Governor Perry says the ruling is based on junk science.From the Washington Examiner. Governor Rick Perry announced today that the State of Texas is filing a lawsuit and asking the Environmental Protection Agency to reconsider its finding that carbon dioxide is an environmental pollutant. The effect of EPA’s action is to try to use the federal Clean Air Act to enact President Barack Obama’s policies limiting gasses that he believes contribute to global warming and climate change. The lawsuit, filed before the U.S. Court of Appeals for the District of Columbia circuit, alleges the EPA’s endangerment finding is based on junk science and seeks an order stopping the EPA from regulating global warming under the clean air act. Obama is taking a huge risk using the EPA to bypass the Legislature, following poor Opinion polls and the recent loss of the Democrat's safest Senate seat. This lawsuit will expose a lot of issues Obama would prefer out of sight. The EPA's undemocratic decision will have to be justified and the science debated. Scientists led by Peter Doran of the University of Illinois have found by monitoring long term temperature readings that the continent Antarctica is actually cooling .Averaging the temperature readings from the more numerous stations on the Peninsula has led to the misleading conclusion that there is a net warming continent-wide. "Our approach shows that if you remove the Peninsula from the dataset, and look at the spatial trend. The majority of the continent is cooling," said Doran. The Warmista have tried very hard to prove that Antarctica was warming including some very creative maths recentlly by Steig. For those of us who just like to make up our own minds here is a picture of a 115 foot transmission tower built by ITT in the mid sixties . Only 30 feet protrude in the late eighties and that is 85 feet of additional ice. Correction to reader Anonymous , the picture posted was of a crane not pylons. It has been corrected now. What is snow? Frozen water falling from the sky. How does water get into the sky? It evaporates, mostly from the ocean. What makes water evaporate from the ocean? Heat from the sun. What is global warming? More heat from the sun is trapped near the Earth's surface. Would global warming cause more or less water to evaporate from the ocean? More, obviously. And that, in short, is why global warming causes more snow, as long as there is enough cold Arctic air to freeze the water. Otherwise, it would be flooding rain. And of course as the planet warms causing more and more snow we will drift into a Global Warming caused Ice Age . They will soon be issuing new Rosary beads with ten Hail Warmings followed by The Blessed Al Gore . 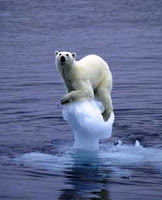 Donald Trump sums it up..
Donald Trump has admitted that he is cynical about global warming. The New York Post reports that the business tycoon has complained that laws to prevent climate change have a negative effect on American industry. the whole Global Warming Edifice would come crashing down. As a Professional Engineer by training I am continually amazed by the sloppiness of the work done by scientists as indicated by the Climategate emails and the recent admissions by Dr Phil Jones to the BBC. In the real world (not the fantasy world of these scientists) if a company wishes to sell goods worth only a few tens of thousands of dollars to the Government a current Quality Assurance System has to be in place with detailed Quality Control Procedures all of which has to be independently audited regularly. Software also must be to the relevant standard with annotation,flow charts and traceability. 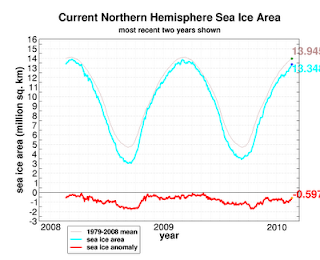 The Climategate software is unbelievably bad in this regard. We must demand Quality Audits of the data and software used by these so-called scientists to further the Global Warming gravy train. In a stunning BBC interview Professor Phil Jones retreats from the certainty of the "science" buttressing the AGW Global Warming theories.Anthony Watts summarises points made by Jones that agreed with sceptics claims but have been previously vigorously denied by the Warmists. Although criticised as waste the Government thought it was a good idea at the time spending billions with teams of workers installing subsidised roof insulation across Australia. However with four deaths , and with thousands of roofs potentially lethal with a combination of foil insulation and old wiring , Environment Minister Peter Garrett is clinging to his job amidst calls for his head. 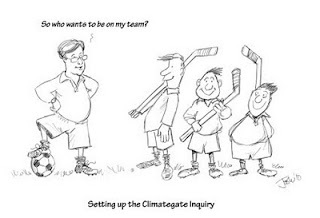 Those who thought an independent inquiry would get to the bottom of the Climategate mess will be sorely disappointed. Following the resignation of Philip Campbell for his anti-Climategate views it turns out that a second appointee Professor Geoffrey Boulton was a previous employee of UEA . The folks at the Centre for Biological Diversity are giving away 100,000 condoms , starting Valentines Day, to highlight the effect of over-population on endangered species. Wrap With Care ,Save a Polar Bear and for the coqui rock frog Use a Stopper , Save the Hopper are among the slogans used. I can think of a few more that shall not find their way into print. With the UK sinking beneath the waves under a mountain of debt and EU economy-killing bureaucratic regulation it is nice that their liberal Julian Glover of the Guardian can take time to tell us ignorant Colonials what is wrong with our opposition leader .He says the Conservatives must be careful or they will end up with someone like, shock horror,Tony Abbott as leader. They should be so lucky. Of course he thinks Abbott must be pretty thick to be Conservative " having a ordinary bloke,taxi-driver approach" and Barnaby Joyce is described as "bonkers" . Abbott, with a Law Degree ,an Economics Degree and a MA from Oxford and a Rhodes Scholarship under his belt demonstrably isn't thick , and Barnaby with a Commerce Degree is not bonkers. The progressives arrogantly feel that if you were intelligent you would have to agree with them - disagree and you are dumb. Cameron as a Turnbull look-alike has the same inherent problems - his rank and file are not progressives and he may well suffer the same fate . Just when you thought the ABC was improving we have this pitiful piece of journalism. The writer Tim Leslie uncritically accepts the Mann Whitewash and then rushes to a warmist Professor for validation of his complete lack of research. Mann was interviewed by a few of his peers , he told them he was innocent and they said that's OK. It seems that the poor misunderstood scientists were just trying to explain data .Mind you with the amount of fudging going on a lot of explaining was necessary. This editorial is the first from a major newspaper saying , not inferring, that Global Warming is a hoax. For the climate realists this is a major milestone and hopefully the start of many more similar articles. It is now acceptable to say you don't believe in the Church of Warming and not be treated as something lower than a child molester. Time to crack the champagne. Now The Official Green Police Site! Too Close To Reality For Me! Who Are The Green Police? Green Police: Who are they? Michael Mann's Global Warming Lecture Cancelled By Snowstorm! Time Magazine deserves a Winter Olympics Gold medal ,degree of difficulty 9.9, for its verbal gymnastics with multiple twists to implicate global warming in the huge US snowstorms.The article says :While the frequency of storms in the middle latitudes has decreased as the climate has warmed, the intensity of those storms has increased. That's in part because of global warming — hotter air can hold more moisture, so when a storm gathers it can unleash massive amounts of snow. Colder air, by contrast, is drier; if we were in a truly vicious cold snap, like the one that occurred over much of the East Coast during parts of January, we would be unlikely to see heavy snowfall. So if I have it right hot air causes snowstorms .I 'm having trouble picturing what global cooling will do if this is global warming! We are continually fed a stream of articles on animals and plants "suffering" from global warming effects. The reality in Florida is quite different! Manatees have been forced by the unusually cold weather to take refuge around warm water outlets. This has been a plus for those monitoring manatee numbers and the count is 33% higher than the previous number. John Reynolds Director of the Manatee Research Program said "Manatees are cold-sensitive, so they move to warm-water refuges when water temperatures drop below 68.Last month, when water temperatures hit the low to mid-40s, a record 77 manatees statewide died from cold stress." Then Reynolds then draws a long bow in attempting to blame global warming: We've had some incredible prolonged cold periods. A lot of people feel global warming is going to result in increasing warmer times. 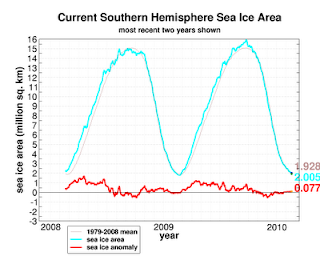 But another outcome might be increasing extreme weather, such as more hurricanes and perhaps these long cold periods." Somewhere a village is missing this bloke! From SMH :There's a new semi-vegetarian wave emerging in Australia: people who exclude all meat except kangaroo on environmental, ecological and humanitarian grounds. I dont know what a "semi-vegetarian " is, but it sounds in the same class as"almost a virgin" . But I digress. It seems Skippy has a low level of greenhouse gas emissions , unlike those bovine methane generators and he lives naturally - a word to gladden the heart of any genuine tree-hugger and obviously makes him good to eat. Sarah Doombos of the University of Sydney gushes : ''In the Australian environment, I feel it's the thing to do,'' she says. BBC interviewer Andrew Neil gives Professor Watson , the UK's Chief Scientist at the Department of the Environment a tough interview. 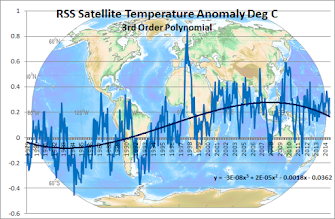 At the end of the day the alarmists are falling back on the mantra " the rest of the science is solid" , instead of the old "science is settled" Of course the whole edifice rests of some very dodgy temperature data which is coming under attack from all quarters . The National Oceanic and Atmospheric Administration launched a new climate service today, a reorganization effort aimed at improving long-range assessments of climate change, sea-level rise and severe weather. 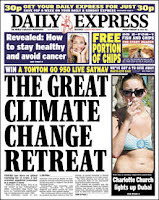 It sounds more like a propaganda department to me - Maybe they could get some pointers from the experts at the UK Met and their supercomputer with it's three prediction outputs - warm, warmer and barbeque! NOAA uses words like high quality climate forecasting , an oxymoron if ever there was one. Anna Bligh was a keynote speaker at the "One Million Women" forum in November which aimed to motivate women to reduce their carbon footprint "cutting out red meat once a week for the year and replacing it with cereal " and other measures. This week Anna showed the other face when proudly announcing the largest coal contract ever- thirty million tons per year to go to China! I am going to throw a steak on the barbie - my giving up steaks is not going to make a dent in that! How can these people rationalise this in their minds or are they just complete hypocrites? UK taxpayers are to pay solar panel owners four times the value of the electricity produced EVEN IF they use it themselves. This is indexed and is guaranteed for 25 years. Who is paying for this stupidity ? The overloaded taxpayer of course and those poor sods who don't have a suitable residence to install the little goldmines . The grandchildren of the morons who dreamed this up will still be paying it off in a quarter of a century. In Australia that model of financial performance, the near-bankrupt NSW Government is busy implementing the same basic scheme proving that as a nation we are now all grown-up and have our own home-grown incompetents to rival those of the Mother country. Must watch video on his short but memorable address. Maybe we could convince him to come to Australia and give his address to our Parliament! We need members of his ilk down under. This will be a severe embarassment to the Met who have been unable to get their predictions right and have been something of a laughing stock! The Met office has been a willing partner in the UEA climate science section and is now coming under some investigation! greenie project into which much political capital has been invested and neither starving third world people or a few rainforests are going to get in the way of their ideology . WEST Australian Premier Colin Barnett wants BHP Billiton and Rio Tinto to start paying higher iron ore royalties from the start of July, despite the completion date of their $US116 billion ($133bn) iron ore joint venture likely to drag on beyond that date. About bloody time one of our premiers stood up and demanded a share of the natural wealth of Australia being shipped overseas. With so many of our mines overseas-owned the profits go off-shore with the ore . I think a much higher resource tax than the 5.6% would not be out of place so our children will not inherit a large hole in the ground where Australia used to be. Mind you , one cannot be too sanguine about how well our economically illiterate, intellectually-challenged politicians will spend any extra wealth extracted from the extractors! committee and will be voted on in the Legislature where it is expected to pass. Utah wants no part of the EPA's declaration that carbon dioxide is pollution and regulations that may well be enforced now cap-and-trade is a corpse. Where can Australia find some pollies with cojones who will stand up also. 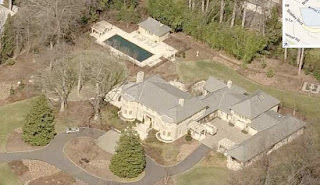 Charley ,like many of his ilk think that celebrity status gives them some God given right to advise the serfs on how they should live their lives. Inbreeding has not done much for the House of Windsor if his intellectual capacity is to be taken as an example. His polo pony is probably a bit smarter and his carbon footprint is that of a small village so I think I will give his advice a big miss. Richard North comments! Portland will have a new super green Federal Buiilding with a vertical garden growing on "vegetative fins" that changes with the seasons and nurtures plants that yield energy savings. Greenie politicians are wetting themselves with enthusiasm with this gargantuan waste of taxpayer's money. The maintenance costs will be horrific and the "estimated " savings of $280,000 per year will have a payback time of centuries. Amazing how much nurturing you can do when you are not spending your own money . Between 1789 and 2008, the U.S. government borrowed a total of $5.8 trillion. But in just the first three years of the Obama administration, the government is set borrow $4.4 trillion more. And there is more to come . Obama promised in the State Of The Union address he would reduce spending to reduce the incredible US deficit but days later released a huge spending budget! The Washinhgton Post delivers what is effectively an obituary for global warming as more and more of the mainstream media chime in. The left wing Guardian in the UK continues it's new found discovery of Climategate ( months late but who is counting) with a detailed examination by Fred Pearce. The wolves are gathering! Developed nations are raiding their aid budgets to provide global warming adaption funds to poor countries and money needed for food and vital development is being diverted to the purpose. Following the Green campaign to put food into petrol tanks as a result of the ill-concieved continuing biofuel campaign this is another body blow to those who can least afford it! Green ideology seems to be far more important than compassion to the bureaucrats who now seem to be controlling the world climate agenda. Hepburn , like many of his tree-hugging fraternity is wedded to the idiotic idea of shutting down coal fired power stations and replacing them with renewables like wind and solar. Any power system engineer will tell you wind and solar can only supply a very small part of a modern power sytem and at a very high cost. For every gigawatt of wind or power you install you need a new gigawatt of conventional energy to be built. The maths - build two power plants so the renewable one ( the very expensive one) can supply power whenever it is not cloudy,not night or for wind ,enough wind blows. The utilisation factor for wind especially is very poor and during the midst of the coldest period of the recent UK freeze the wind generators produced almost nothing. Tony Abbott has come up with smart politics with his proposed emission scheme which is cheaper than the ETS and will easily wind down when the Global Warming Scam dies a natural death. It must be difficult for an avowed skeptic to to put forward an emissions plan but the realpolitik of the current Australian scene requires at least lip service to the AGW religion. He must be buoyed by the latest polls putting the Coalition at least within striking distance of the Government. The Australian is the only paper in this country to allow global warming sceptics a fair voice. 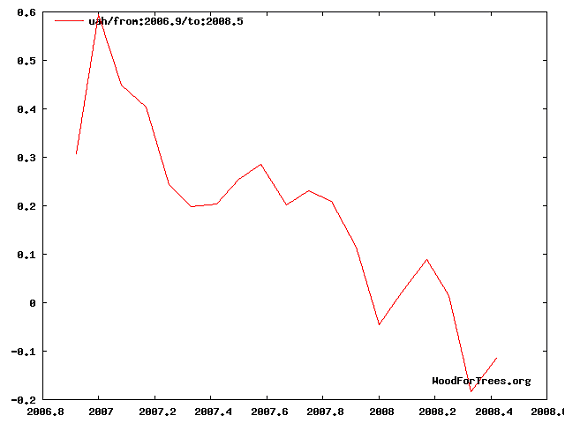 Fairfax has heavily promoted the AGW line and ignored any stories sceptical of warming. 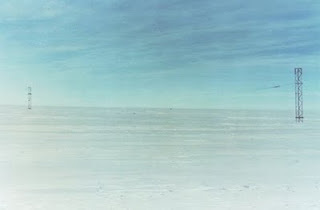 It thus comes as a great surprise that we find not one but three articles on warming scepticism in one week , see here,here and here. This has to represent a change in editorial policy and is very welcome even if very late.The Warmist scam will never stand up to proper journalistic scrutiny. Guardian on Climategate - The Cracks Are Showing. The Guardian , the flagship of Climate Change in the UK finally publishes a detailed account of Climategate which is reasonably fair (even with the compulsory mantra that global warming is still real) - this would never happen a couple of months ago.The wheel is definitely turning. At home we have Kevin ( Don't mention the ETS) Rudd being silent on "the greatest moral challenge of our generation. "and the polls swinging away from the government because of a "great big carbon tax"
I couldn't improve on Richard's dismemberment of Ed Millibrand the UK Climate Secretary. Read and enjoy! Switzerland is holding a referendum on whether animals have the right to be represented by lawyers in court. The country recently changed its constitution to ensure the protection of the "dignity" of plant life and passed a law last year guaranteeing rights for all creatures - from guinea pigs to goldfish. Fido will be able to sue if he is neutered for loss of his doghood! It seems that every day more dodgy science is being uncovered in the IPCC AR4 statement, which is being exposed as more propaganda than science. Following the glaciers gaffe it now appears that rainforest disaster pronouncements were referenced to a paper which had nothing to do with global warming. This was quickly followed by the news that statements on mountain snow disappearing were based on a magazine artticle involving interviews with a couple of mountaineers and a student paper. Of course when sceptics criticise the IPCC they are told by the Main Stream Media that the IPCC represents the work of thousands of "scientists" and is completely peer reviewed.